1. Chic No-Carve Pumpkins via Brit+Co. Aren't these just too pretty?! I'm intrigued by both versions, especially the black and white one would be gorgeous for pumpkins that don't look as good anymore. I love the idea of using chocolate to decorate jars from the inside. I've used this method for my Oreo milkshakes here. Trick or Treat, anyone? Even if in your country there won't be any kids knocking at your door, this would be a nice gift for Halloween party guests. Since I have been together with my boyfriend, we had this urge to bake cookies around Halloween every single year (and we've been together for almost 5 years now!). I don't know why we always start thinking about our Christmas cookies in October but we always had the problem that we don't have any cookie cutters for Halloween and we didn't already want to start with stars and Christmas tree shapes. 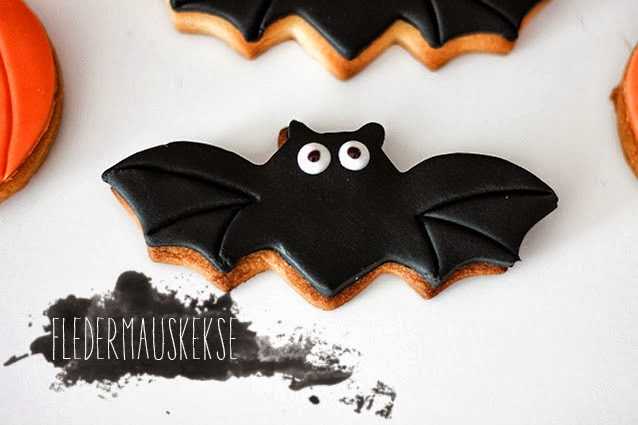 That's why this year I finally ordered Halloween cookie cutters (a pumpkin, a cat and a bat) and as soon as I get them, I will try to make the cookies below as they look just too cute! While Halloween costumes aren't a big matter where I live, I know that they play a huge role at US Halloween parties. If you dare to sew a costume yourself then I'm sure you will impress everybody with this swan dress! 6. LED Headbands via Brit+Co. What's better than LEDs at a cool party? 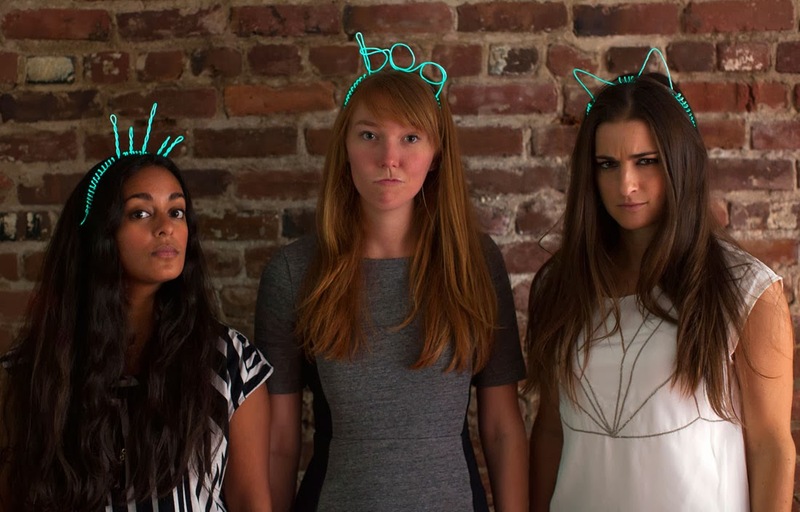 Halloween LED headbands of course! I want the cat ears, please. 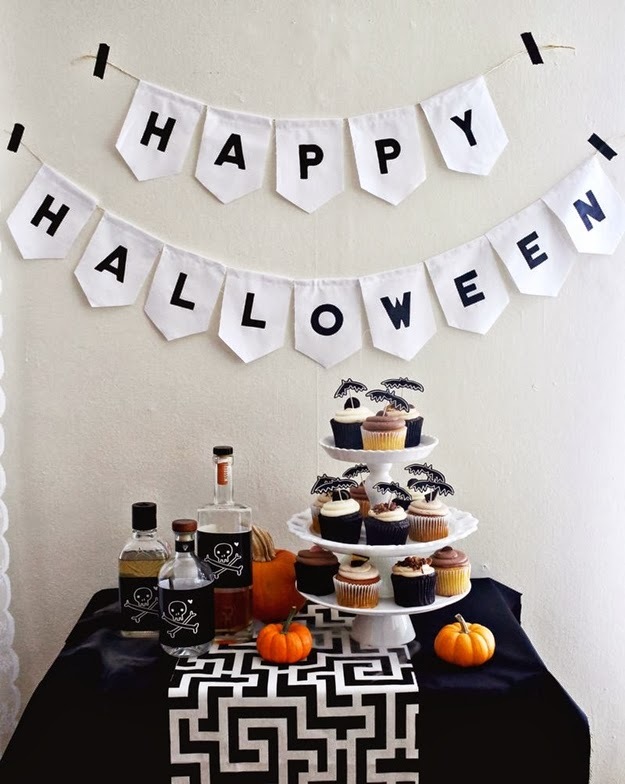 Make your Halloween party even more unique with these free printables for bottles and cupcakes! What are your plans for Halloween? Do you know any other spooky DIY tutorials? 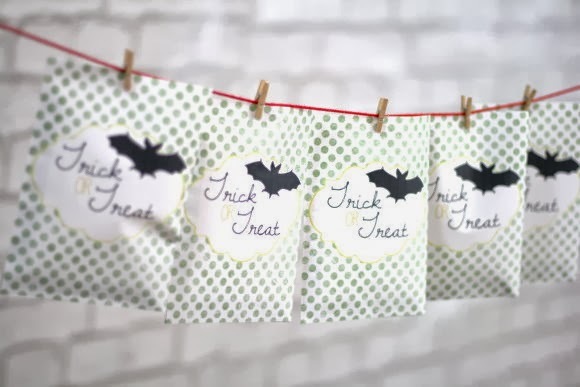 Loving these DIY ideas Carmen! Halloween is my favorite holiday:)! I loove the cat ears! You've got such an amazing blog! UGH! 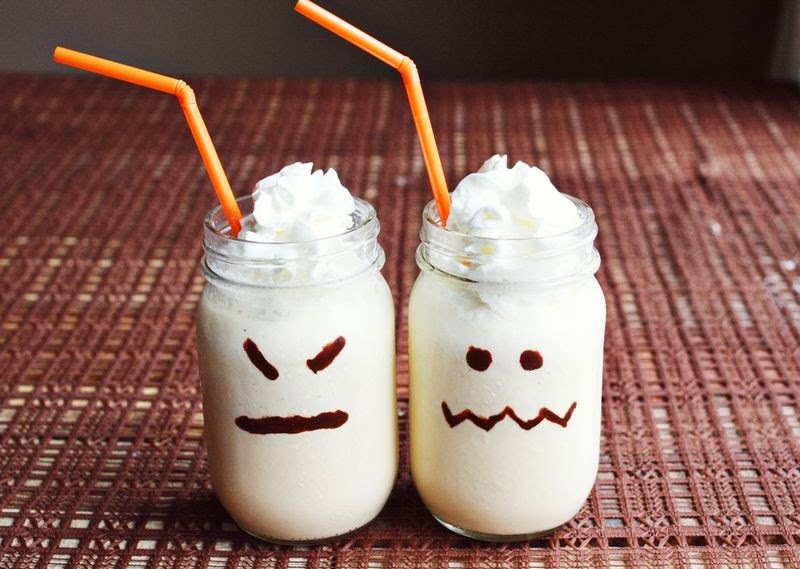 I've never been a huge Halloween girl but these are some awesome decor ideas :) Especially loving the milkshakes! Halloween, ach, ich finds SO schade, dass das fast niemand bei uns kennt/ feiert! Ich will mich unbedingt verkleiden, habe aber noch keine richtige Idee.. Super DIY's, die Pumpkins vor allem! We don't celebrate Halloween here in Safrica, but these ideas are too cute to pass up, who knew Bjork's swan dress would become a costume! 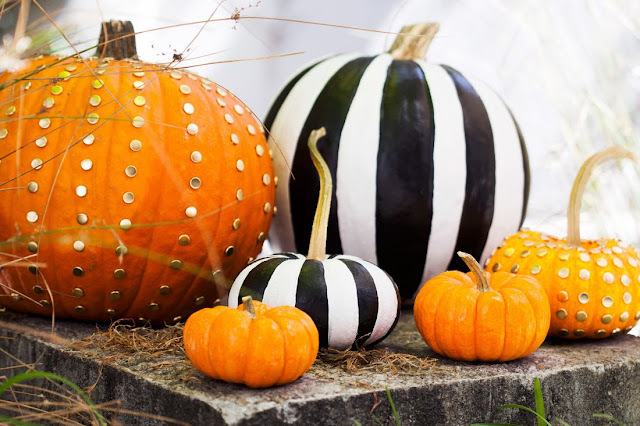 Striped and bedazzled pumpkins! Now I have seen it all. Thanks for your kind visit ... Happy Friday Doll! Wow, creative ideas. Swan dress and Halloween cookies are great. Ist das alles so cool! Tolle Inspirationen. I love the black and white pumpkins! Not a traditional looks but very elegant. Oh, and the bat cookies!